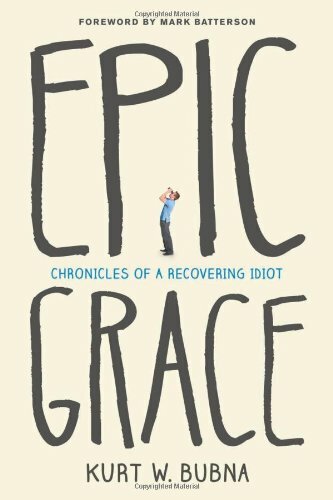 Epic Grace: Chronicles of a Recovering Idiot! Home > Books > Epic Grace: Chronicles of a Recovering Idiot! One Man's Story of Grace! God never wastes anything—our strengths, our successes, or our mistakes. In this collection of true stories, Kurt Bubna, a self-confessed “recovering idiot,” chronicles his own honest, heartfelt, and often hilarious missteps along the path to grace. You’ll discover what it means to experience the unconditional love of God, regardless of how often you stumble, and you’ll gain a fresh view of how to find God’s purpose for your life. Learn from Kurt’s trials and triumphs that God is indeed the God of second chances—and His epic grace can transform even the most imperfect life into something priceless.